Culinary mastery requires excellent tools. That's why Amefa offers a wide range of kitchen knives which can effectively deal with all kinds of different tasks. 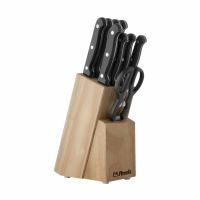 The kitchen knives are available in various ranges from traditional to more contemporary designs.